Our Goals In the Bear Den, we need to complete 5 achievements and 1 elective. Click on "Bear Trail" on the left side of the page for more information. 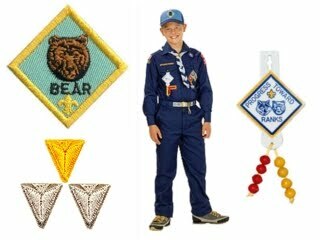 Do earn the Bear Badge, each scout must attend an overnight camping trip. This is the year your son will grow in amazing ways. Summary Much of the advancement for the Bear rank is done at our Den Meetings. Some requirements will be done at home. 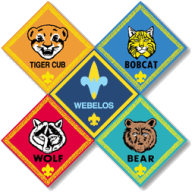 The Bear program relies heavily on family involvement, but you will see this gradually change with the scout doing more with his den and more individual direction as he graduates to Webelos.